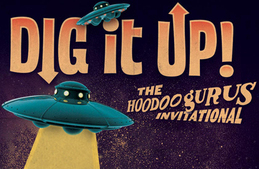 Held in honour of the thirty-one year recording career of Australian garage legends the Hoodoo Gurus, Dig It Up! highlights the iconic bands finely honed musical taste and inspiration by way of multi-band / multi-venue appearances in both Sydney and Melbourne and single stage events in other capital cities. 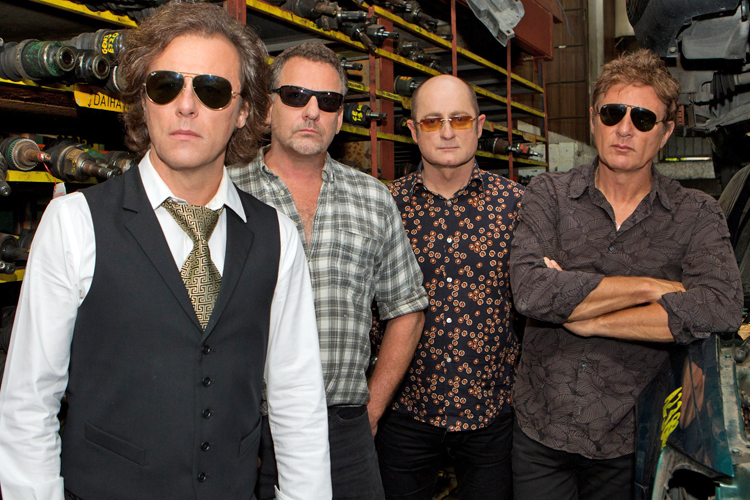 Joining the Hoodoo Gurus this year will be Flamin' Groovies, Blue Oyster Cult, Buzzcocks, Peter Case and The Stems. Between 1972 and 1978, San Francisco’s Flamin' Groovies – featuring core members Cyril Jordan (guitar/vocals), Chris Wilson (vocals/guitar) and George Alexander (bass/vocals) – produced some of the decade’s most vital recordings, including the classic singles Shake Some Action and Slow Death. The band’s 1976 masterpiece album (also titled Shake Some Action) combined the early pop and R&B leanings of both The Beatles and The Rolling Stones with the focused energy of the emerging US and UK alternative rock scenes, landing the band god-head-status for a new generation of music fans looking for the sort of kicks not heard of since the high of the mid-sixties. Sire Records label-mates the Ramones’ 1976 London debut was in support of the Flamin' Groovies while Australia's Radio Birdman were the support act to the Groovies for their one and only European tour in early 1978. Dig It Up! will be the first time since 1981 that the Jordan/Wilson/Alexander line-up of the Flamin’ Groovies have appeared anywhere in the world. Had it not been for all of the above The Stems may not have happened. Heir apparent to the Hoodoo Gurus in the early eighties, The Stems produced a stunning run of garage inspired pop-singles and EP’s (Make You Mine, Love Will Grow, At First Sight, For Always) and one great album (the gold selling At First Sight, Violets Are Blue) before leaving us in 1987 to ponder what could have been. Reforming due to demand in the early noughties The Stems would perform in the U.S at Little Steven’s prestigious Underground Garage Festival and tour Europe before releasing their long awaited second album Heads Up in 2007. The Stems then toured Europe and Australia before again disbanding for good in 2009. However, in 2013, the call went out, Ladies & Gentlemen: The Stems. Dig it Up! Ticket pre-sale registration is now open! Simply log onto Dig it Up between now and February 1st to receive details. And for up to the minute information concerning Dig it Up! (line-up, times, additions) sign-up to Dig it Up on Facebook.